Investigators from the United Nations (UN) human rights committee finally stress that ISIS (Islamic State – IS) is committing genocide against the embattled Yazidis in Iraq and Syria respectively. Of course, while this is welcomed it still remains unclear why this reality wasn’t stated much earlier. After all, photos show absolutely abhorrent images of ISIS burning Yazidis alive, enslaving females for sexual slavery, killing older females because they can no longer have Islamized children, forcibly converting Yazidi children to Sunni Takfiri Islam – and a host of other factors ranging from statements by ISIS and the cleansing of this religious minority from various areas. ISIS is also involved in the cleansing and killing of Alawites, Christians, Yazidis, and butchering Sunni Muslims opposed to the mindset of this barbaric Sunni Islamist Takfiri group. Similarly, other brutal Sunni Takfiri terrorist groups including Boko Haram and al-Shabaab are involved in brutal crimes against humanity. Likewise, in Saudi Arabia, all non-Muslim faiths are banned including Christianity and the Yazidi faith, while the Shia face enormous persecution. 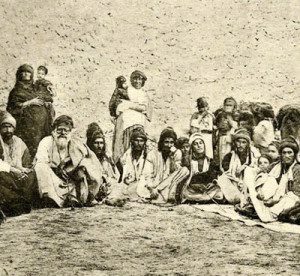 Persecution for the Yazidis is sadly a way of life in this part of the Middle East because countless pogroms have taken place throughout history. In recent times, however, the situation is alarmingly barbaric because ISIS seeks to erase this faith from the face of the earth. This is based on brutal policies including slavery, massacres, and the forced conversions of minors. Sadly, since the situation intensified after ISIS took vast parts of northwestern Iraq in 2014, including the Yazidi heartland in the region of Sinjar, the response by the international community is clearly not good enough. Similarly, until the Yazidis can rebuild based on being free then members of this religious faith must be given refugee priority status.